Date: 30.03.2018 | House, Club, Disco, Reggae, RnB | Tags: DMC Dance Mixes, DMC Records, Sammy Porter, Philip George, Nick Jonas, Galantis, Big Shaq, Betsy, House Gospel Choir | Download DMC Dance Mixes 197 (2017) for free. 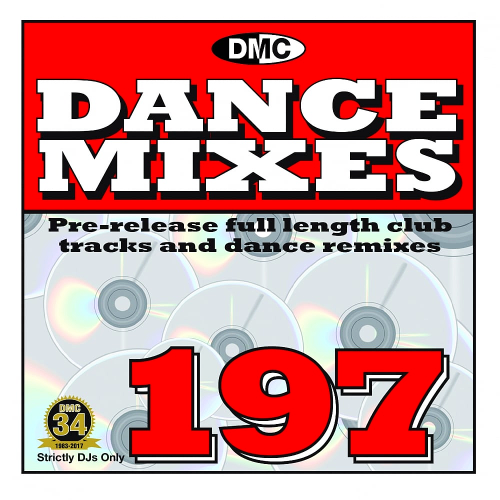 Pre-release Full Length Club Tracks And Dance Remixes. The music has amassed over a billion streams and continues to receive widespread critical praise-The New Yorker proclaims, Galantis sends crowds soaring with reliably mammoth melodies, Everything Galantis touches is gold. Betsy was raised on a rural goose farm in Nevern, Wales. Her mother bought the goose business next to their home, and it subsequently moved to their house. Mans Not Hot is a novelty song by English comedian Michael Dapaah, released under the name Big Shaq. Truth Is a Beautiful Thing is the second studio album by English indie pop trio London Grammar. It was released by the trios imprint Metal & Dust and Ministry of Sound!